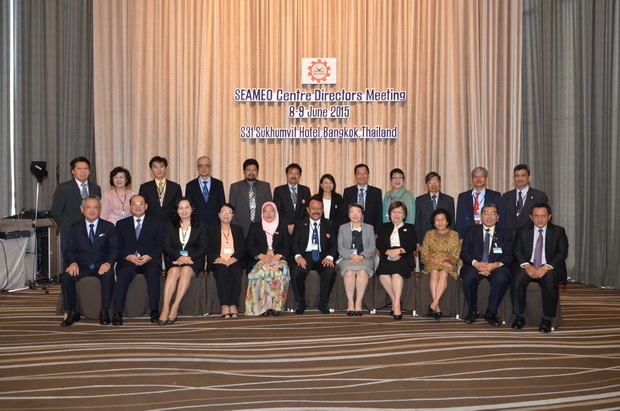 The Annual SEAMEO Center Directors Meeting took place on June 08-09, 2015 at S31 Sukhumvit Hotel, Bangkok, Thailand with the purpose to review the organization’s operation within FY 2014/2015. The meeting was attended by more than 80 participants including the Center Directors and key staffs of SEAMEO Centers and the Secretariat, representatives of Associate and Affiliate Members, and invited partners such as: the Ministry of Education, Culture, Sport, Science and Technology, Japan; the ASEAN Secretariat; Regional Association of Vocational Teacher Education in East and Southeast Asia; ASEAN-China Center; etc. 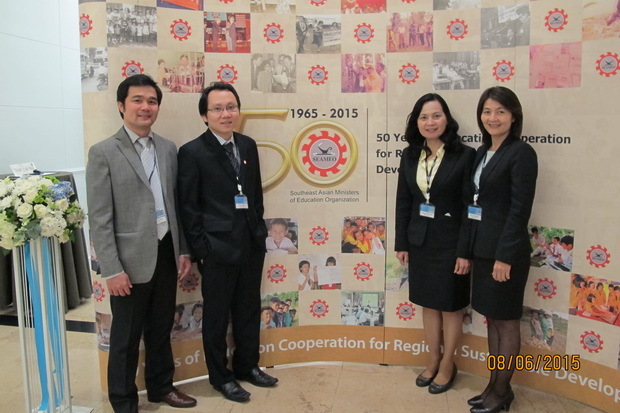 In the special session, agenda items included inter-Center collaboration and SEAMEO Centers’ training courses. The session was followed by the Centers’ reports and updates on major accomplishments, proposals and matters for acknowledgements. Furthermore, the collaborative and networking session with invited partners came to the end with new projects firmed up and new areas of collaboration with potential partners defined. BTW, on June 10, 2015, an in-camera meeting on SEAMEO Strategic Plan Midterm Review was conducted at Anantara Bangkok Riverside Resort & Spa.